Extreme Futurist Fest (XFF) is a 2 day arts and technology festival focusing on radical voices of the new evolution. Last year we had a great event and were called “a TED conference for the counterculture” by the LA Weekly. 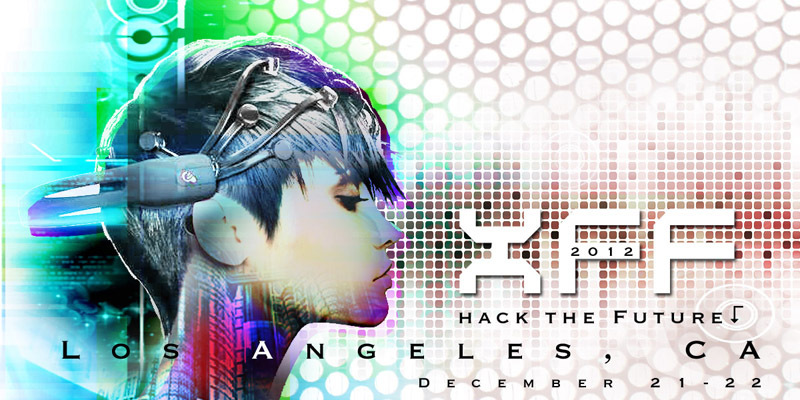 This year we seek to make XFF an even more epic experience. Terence McKenna predicted that December 21, 2012 would mark a great evolutionary shift in consciousness. It is now up to us to become that shift. We want to make this the 2012 event that people will talk about for years to come. We will be focusing on cutting edge science and technology along with transgressive performance art and music. Showcasing the most innovative and subversive memetics of our time, we see to highlight an extreme future that breaks the formula of modern culture. The future has been commodified by the mainstream in an effort to make revolutionary technologies easy to digest. As a result we are now living in an era of complacency, in which the true leaders and game changers are made to feel like outsiders. It is time to rise against the dominant current of our society and declare that nothing is too extreme. We refuse to be assimilated into a carbon copied version of a new humanity. As evolutionary agents we will push the boundaries of what it means to transform our species.